Welcome to Order of Man! We’ll cover all the topics that are important to you as a man such as Intellect, Leadership, Manly Know-How, Health, Relationships, Self-Mastery, Style, and Wealth. 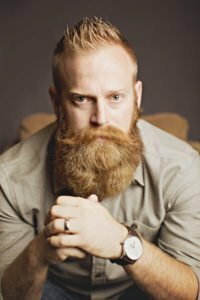 About this time, a lot of people will ask me, “What makes you the expert?” The answer is, “I’m not.” I’ve got a unique background, set of experiences, and a desire to become a better man myself. I don’t have all the answers but I am on a journey to discover them. I think you probably are too. Otherwise, you wouldn’t be here, right?! If you’re a man and you’re ready to live up to your full potential in your relationships, business, and community, I invite you to join The Order! 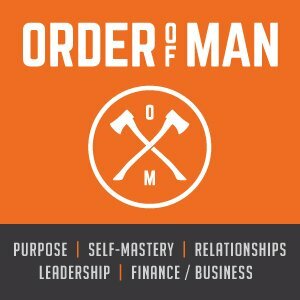 The Order of Man Podcast is for motivated and ambitious men who want to become better in every area of their lives from defining their purpose, obtaining self-mastery, building relationships, growing as a leader, and mastering manly skills. Each week I have real, unscripted conversations with the world’s most successful men. Each week we post the best content for men on the web. We cover all topics for men including purpose, self-mastery, leadership, relationships, manly skills, and more. Our goal is to create a resource of information you care about. We have a group of amazing men write for us on each of these topics. You can check out the categories here. Are you ready to take the next step in your journey to become the man you were meant to be? The next step is to join The Order. You’ll receive all the tools, tactics, and techniques to help you become the man you were meant to be. This is for men who want to create more, live more, and be more. All you need to do is enter your name and email below and you’re a member. WANT TO BECOME A BETTER MAN? Gain exclusive emails with access to the best information available for men. Leadership, self-mastery, relationships, money, manly skills, and more. Become the man you are meant to be. A true man is rugged, resilient, and strong. In many ways he is self-made and claims his own victories but he understands what it means to be a member of the team. He understands the strength that comes from his tribe. He is stronger when he is beside his men and his men are stronger because he is one of them. We want you join The Order of Man Community. You’ll learn from other like-minded men and we know that you will have your own stories and insights to share. Let’s rise up together!